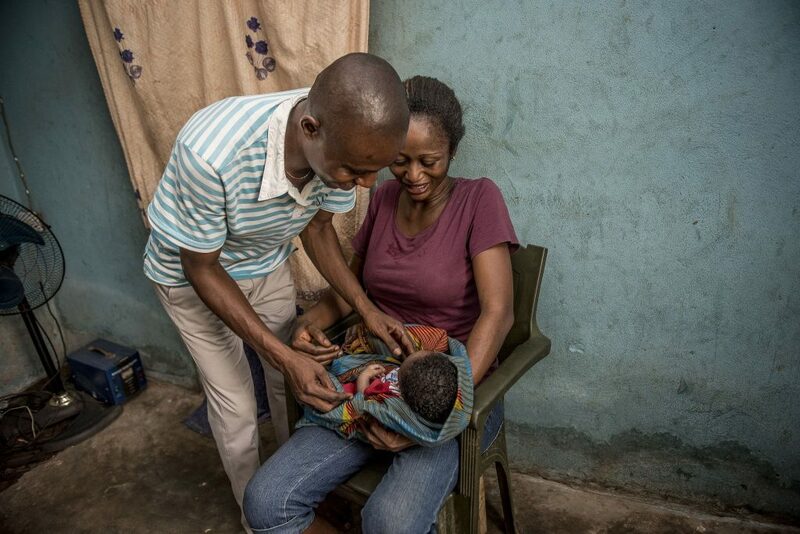 A Nigerian father gets the message about maternal and newborn health. He read it in full, sharing aloud what he was learning about the signs of labor—some subtle, some not—with his wife, Monica, who, at the time, was very pregnant with the couple’s third child. The couple soon found out just how timely that text was. Informative messages about his wife’s pregnancy had, at that point in time, been appearing on Israel’s phone for months. 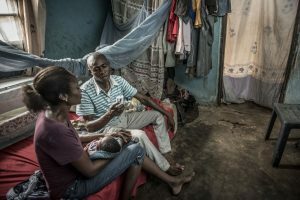 Monica had just begun her second trimester when she heard about HelloMama, an initiative aimed at educating pregnant women and new mothers as it engages fathers and other relatives to support them. She talked with him about signing up for the free service. As the holder of the family cellphone, Israel concurred, agreeing to pass on all the messages. There were many, many messages received and relayed—at least two a week. Some reminded Monica to visit the hospital and take prenatal supplements. Others urged the busy, 31-year-old mother of two (who works trading clothes to earn extra money) to take special care of herself—to eat nutritiously and be on the lookout for warning signs of preterm labor. Even now, Israel’s phone still buzzes regularly with HelloMama messages. They continue throughout baby Michael’s important first year of life, tailored to reflect his stages of growth and development, just as they reflected Monica’s stages of pregnancy. 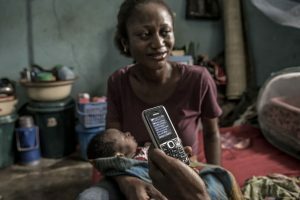 A recent text, for instance, reminded the couple to make sure the baby was sleeping under a mosquito net to reduce the risk of malaria. 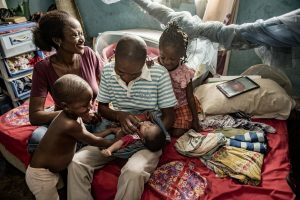 HelloMama is making a difference not only in Israel and Monica’s home but throughout Nigeria, where more than 2,000 children under age 5 and over 100 women of childbearing age die every day. In fact, the country ranks second (after India) in terms of number of under-5 and maternal deaths globally. 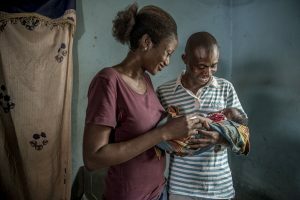 Funded by the US Agency for International Development’s flagship Maternal and Child Survival Program, with help from public and private partners, HelloMama is an initiative of the Federal Ministry of Health and the National Primary Health Care Development Agency.